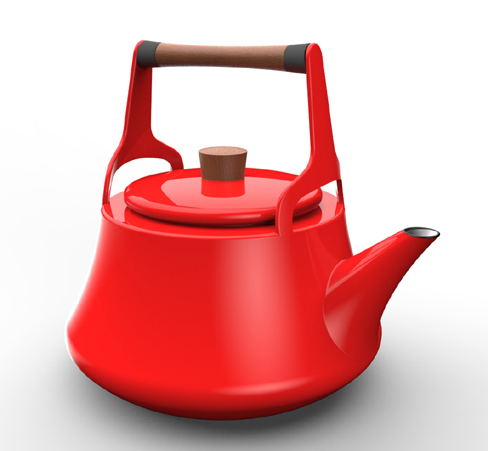 In 2012 Dansk hired me to design a new tea kettle for their iconic Kobenstyle line of kitchenware. The Kobenstyle line was originally designed by Jens Quistgaard in 1956. It was discontinued for a number of years until it was brought back in 2012 to great acclaim and sold at retailers such as Crate and Barrel, Bed Bath and Beyond, and Macy’s. Needless to say being asked to work within such an iconic Mid-Century brand made this a dream project. Shown here are computer renderings as well as an appearance model that Dansk commissioned. 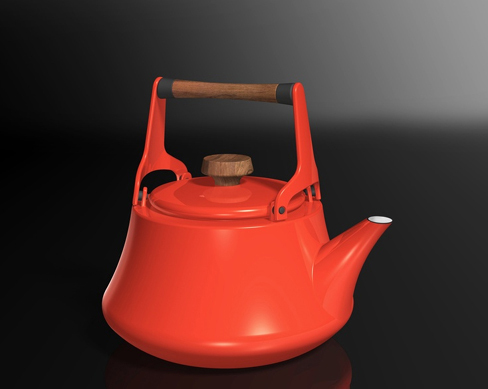 I slightly prefer the version where the handle is welded directly to the kettle body, but we later developed the “two piece” version for ease of manufacture / cost reasons and I have to say it has grown on me. 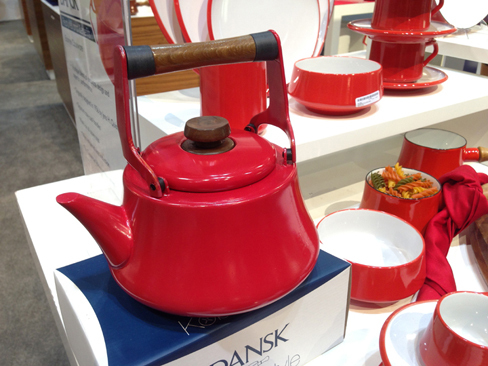 The appearance model was shown at the International Housewares Show in Chicago in March of 2013. Unfortunately, manufacturing for the item is currently on indefinite hold. Click here to see the cast iron trivet that I designed for Dansk.